Recent developments in Iraq, Syria and Ukraine have, once again, demonstrated the fragility of peace in certain regions of the world, as well as the startling speed at which conflict situations can arise, forcing international and regional military powers alike to react. While some military planners and government officials warned of possible chaos caused by the U.S. troop withdrawal from Iraq in during the 2011 to 2012 timeframe, few would have surmised that the U.S. would again be leading a new military conflict in the country little more than two years later. This again shows the difficulty that governments and military agencies around the world face in predicting their future requirements, notably regarding satellite communications infrastructure, which has become a pivotal component of modern warfare. The military market was relatively peripheral to the commercial satellite communications market until 2001 when the start of the war in Afghanistan followed by Iraq promptly led to an unprecedented amount of commercial leases. Capacity needs greatly surpassed available supply on legacy proprietary military satellite systems. Currently, more than 60 percent of the satellite capacity used by the U.S. Department of Defense (DoD) is provided by leading commercial operators, the vast majority (+/- 80 percent) of which is in Ku-band. Commercial operators have been negatively impacted by troop withdrawals from Iraq and Afghanistan in recent years and have been clamoring for more transparency from the DoD regarding its future requirements. While the DoD has made clear that its future operations would again entail a significant volume of commercial leases, the fact remains that such demand is largely unpredictable and most of its procurements are driven by annual funding cycles which remain difficult to reconcile with the commercial operators’ need for future visibility. While information superiority has always been a crucial factor in successful military conflict outcomes, the doctrine of network-centric warfare is more engrained in today’s military strategies than ever before. These elements require the rapid collection, analysis and dissemination of battlefield data via communications that have been pushed down to lower echelons of military hierarchies/units—whether on land, on sea or in the air. Recent trends in MILSATCOM must be viewed through the lens of the intense budgetary pressure that now faces most of the world’s developed economies (and leading military nations), from the U.S. to Europe to Japan, all occurring in recent years. The economic crisis and the current burden of public debt have led to strong government emphasis on the reduction of public spending. These reductions in expenditures for defense and military purposes have certainly had an impact on a nation’s willingness to support costly military operations. Although satellite communications are a relatively small piece of defense budgets, and cuts are expected to be less than in other operational areas given SATCOM’s strategic importance, the impact of the budget reductions will continue to be felt across the board. At a minimum, expenses for SATCOM will fall under greater scrutiny with regard to necessity, terms and prices of commercial capacity leases. Requirements related to sovereignty, security, survivability and performance have driven some defense agencies, most notably the U.S. DoD, to invest in large-scale next generation proprietary satellite communications systems such as WGS, MUOS and AEHF. However, given the acute budgetary pressures faced by the majority of developed economies and leading military nations, a shadow of uncertainty has been cast over the future of these large programs of record and their successors, particularly given their high price and propensity for cost overruns and delays. While highly capable, this type of proprietary satellite, particularly on the scale of current programs, will struggle to find new long-term funding in coming years, as just one AEHF satellite costs well over $1 billion to manufacture and upwards of $500 million to launch. As a response, nations seeking to improve/expand their MILSATCOM capabilities have increasingly engaged in various forms of partnerships to help mitigate high up-front investment requirements and risk of cost overruns and delays associated with proprietary satellite systems. For example, Japan, Brazil, the UAE, Qatar, and Israel have all partnered with local industry and/or satellite operators to secure long-term satellite capacity leases for military needs without assuming ownership of the satellites or their entire development costs. Partnerships between allies have also been employed to help defray the costs of proprietary MILSATCOM systems, with the U.S. receiving investment from Australia and Canada to continue funding the WGS program and Italy and France jointly investing in their Athena-Fidus system. While these types of partnerships have a limiting factor on the amount of commercial capacity leased on the market, UAVs and manned ISR missions have also been strong drivers of commercial capacity usage. UAVs are believed to account for nearly 20 percent of commercial capacity currently used by the U.S. military, driven by the fact that UAV missions were five times higher during the first three years of the Obama administration alone than in the eight prior years of the Bush administration. Furthermore, U.S. UAVs are in the midst of expanding their operations in North and West Africa, in addition to their ongoing missions in Iraq, Syria, Yemen, Pakistan and Somalia. Along with continued growth in UAV inventories and sustained deployments, the key driver in their future satellite usage is expected to be more bandwidth-intensive payloads, primarily for wide-area surveillance and full motion video (FMV). Due in part to the complexity of equipment, the DoD has struggled to connect its UAVs to its own high-capacity WGS satellites and the issue remains largely unresolved, with previous implementation timelines of 2015 having recently been revised to no earlier than 2019. Reliance on commercial satellites is expected to continue over the long term, particularly as UAVs appear to be the preferred method of U.S. counter-terrorist and counter-insurgency operations, given their lower financial, political and human costs as compared with large-scale, conventional expeditionary troop deployments. Whether we look at the more than 10,000 military vessels that are currently in service, the thousands of soldiers deployed in the field, military base camps, or central military intelligence offices themselves, there is a clear trend that the required data rates and capabilities per unit are increasing significantly alongside a growing information flow and a range of new applications used by military forces. 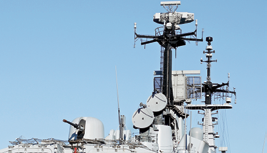 Military ships use VSAT now to connect to cloud applications, stream real-time high definition (HD) images and video, provide welfare connectivity to troops on board, all combining to require several Mbps per ship today as compared to the single 2.4kbps voice connection that was all that was available just a few years ago. The same is true for deployed soldiers who increasingly rely on sophisticated tactical communication means and real-time information streaming to and from the combat theatre, including images, video, databases, and so on. High-throughput satellites (HTS) and advances in related technologies may also support commercial SATCOM usage by defense agencies, as several HTS operators will be bringing significant amounts of less costly capacity to market—well beyond that of current military systems—in the near-term. This volume of HTS capacity is complemented by flexibility in terms of both coverage and power, specifically designed to accommodate the uncertainties of future military demand. For example, O3b, Inmarsat, Newsat, Avanti and Yahsat have all incorporated steerable beams in their HTS system design and have targeted the defense sector as a major market. 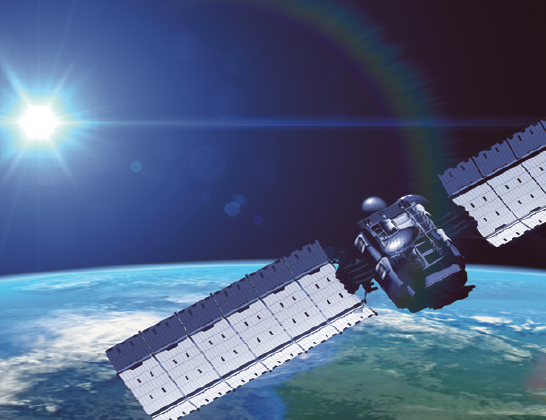 Beyond advances on the satellites themselves, continuous progress has also been seen on the ground segment with ever smaller, more versatile and increasingly mobile SATCOM user terminals that enable high data-rates and a growing range in in-theater applications. 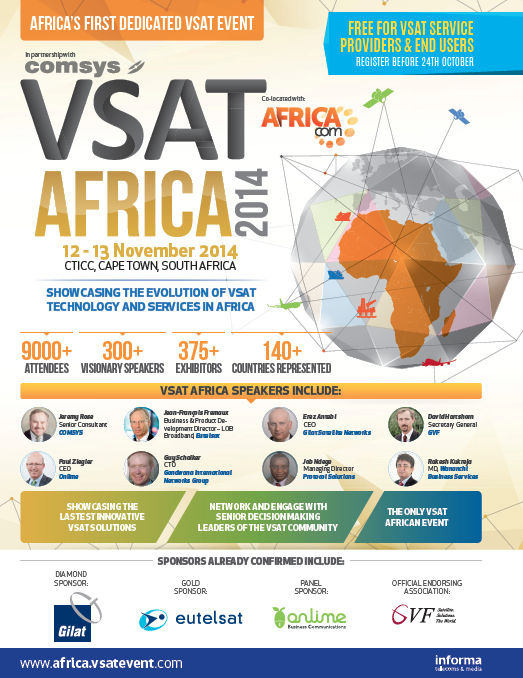 Notably in Ka-band, all major terminal manufacturers are currently spending significant amounts on R&D, which should drive the usability of SATCOM systems in the future. While these trends will undoubtedly shape the demand profile for MILSATCOM, predicting the location and magnitude of future conflicts remains a monumental task. Taking into account the nature of this market, Euroconsult has spent an enormous amount of time and effort to assess the MILSATCOM market and developed a tool that allows users to simulate an infinite number of bottom-up conflict scenarios and the related satellite requirements based on different scales of conflicts in terms of the number of deployed troops, SATCOM terminals, ships and satellite connected UAVs. As a sample scenario, assuming that a sizeable medium-term conflict with a two to three year duration starts in 2017 involving heavy use of UAVs and some deployment of ground troops by a global military alliance, demand for SATCOM capacity in such a scenario could see a spike to more than 16 to 18Gbps by 2018-19—that’s around two to three times the requirements that are assumed to be required for a minimum requirement peacetime scenario. 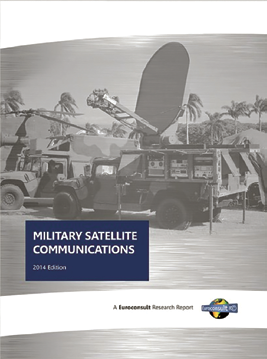 While military planners and commercial satellite operators alike would prefer a stable and predictable outlook in order to plan budgets and close business cases, the reality is that there is no magic formula for determining the exact future requirements for MILSATCOM or the optimal mix of proprietary and commercial capacity. However, having an idea of the possible future requirements under a number of “what-if” scenarios that take into account all known variables is an essential part of the planning and strategy definition cycle and a tool that may ensure to be prepared for the unpredictable in the foreseeable future. Brent Prokosh is a Consultant of Euroconsult’s SATCOM practice who specializes in strategic planning, financial forecasting and market assessment; he is also a contributor to Euroconsult’s “Military Satellite Communications” research report. 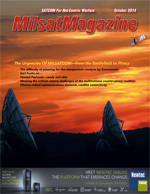 Given the event-driven nature of the MILSATCOM market and limited usefulness in projecting one possible future evolution, Euroconsult has developed a fully customizable forecast tool allowing the user to instantaneously measure possible demand requirement and impacts of any future conflict scenario over the next ten years, while taking into account all key trends, drivers and limitations of military satellite communications. 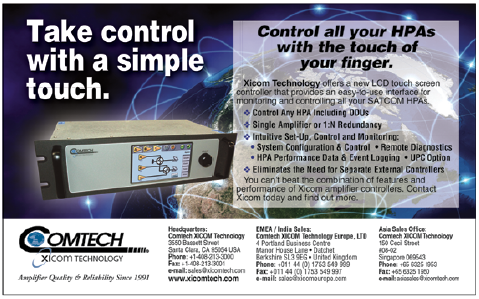 The tool allows you to create scenarios with multiple conflicts, variable conflict types, and different conflict years for all four segments, and simulates capacity (GHz) and throughput (Gbps) requirements by frequency band, military segment, and commercial vs. proprietary systems.